Summer is upon us, and the weather is really getting gorgeous. Let’s fire up those grills and get some really good food cooking, shall we? 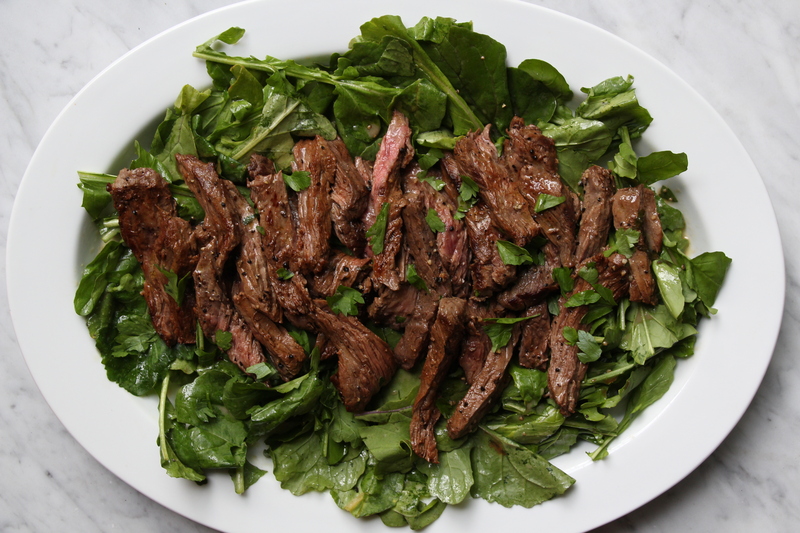 This delicious steak salad is filling and absolutely delicious, and I really think its a perfect dish when entertaining friends for a night grilling out! It’s one that everyone will enjoy, and it’s super easy to throw together (which makes it a great weeknight meal, also)! This recipe is simply delicious, I hope you all enjoy as much as we do! 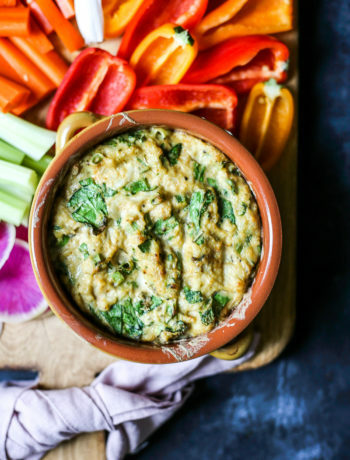 In a small bowl, whisk together the olive oil, lemon juice, mustard, red pepper, garlic, and parsley. Season with salt and pepper, to taste. 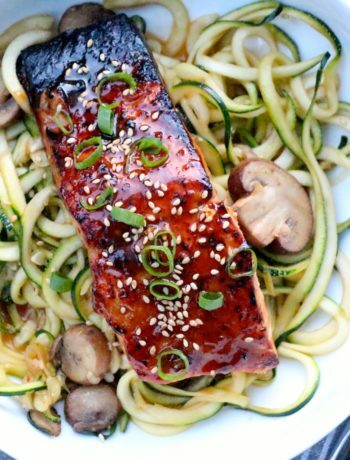 Cover and set aside and let marinade for at least 30 minutes, or place in the fridge all day. Grill or sear in a skillet to desired doneness over medium-high heat (we did ours about 5 minutes per side but yours will vary depending on the size and thickness of your steak and how you like yours cooked!) Remove from grill and set on a cutting board. 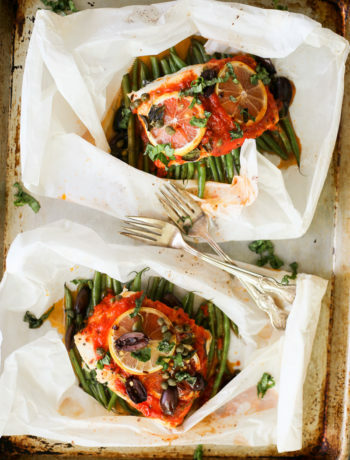 Cover with foil and let it rest for a minute while you prepare your salad. In a small bowl, whisk together 2 tbsp. olive oil, 2 tbsp. lemon juice, 1 tsp. dijon mustard, and 1 tbsp red wine vinegar and salt and pepper, to taste. Drizzle desired amount of dressing over the arugula and toss to coat evenly. 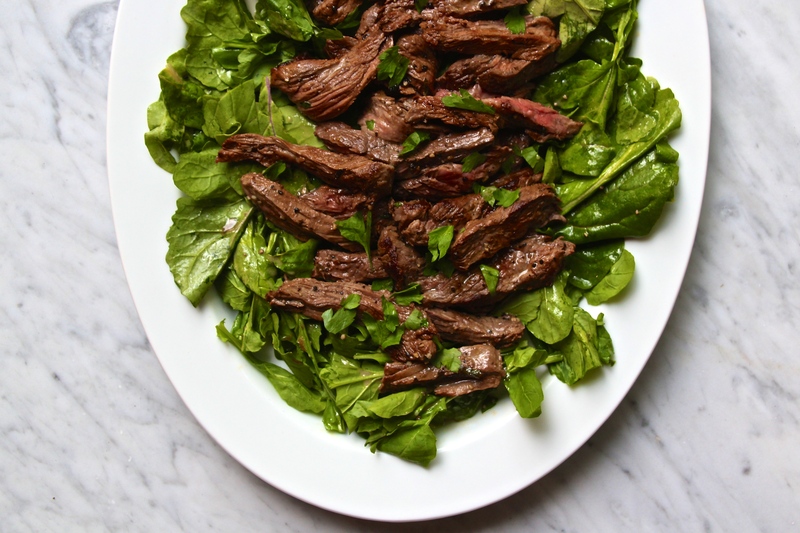 Slice the flank steak thinly against the grain and serve over the salad. Hi! How much Montreal steak seasoning do you use, and what step do you use it in the recipe? Thanks! salt + pepper is JUST FINE as a replacement for the steak seasoning!!! glad you enjoyed the recipe!! !